Rick Platt: Governor Listening to Urban Developers Instead of Manufacturers? Governor Listening to Urban Developers Instead of Manufacturers? The transcript from Ohio Governor John Kasich's State of the State address verified my own count. As is my thing, I found four uses of the "m" word in his 2015 State of the State address. He was forty minutes in before the use of the word manufacturing. I'm not sure anyone in manufacturing is coming away feeling good about those four uses either. One was a reference to how good manufacturers have had it for the last ten years in Ohio with a broad, low tax rate that the Ohio CAT tax provides. The proposed budget has increases to that rate. Frankly, the other references seemed like a rebuff of manufacturing. In fact, the implication was that we needed to move our economy to a "cool cities" approach embraced by self-proclaimed smart growth advocates and urban developers. "We've got to do the heavy lifting and make these bold new choices. . . But here's what I'm going to suggest to you: if we look back on Ohio and we are only big heavy manufacturing and we forget the cloud computing—where we now have a billion dollar investment, the data and logistics that IBM brought to our state, the medical device companies, the medical imaging companies, the new IT services, the new financial services—that’s where the jobs are, folks. That's where the world is going. "You want to keep young people in this state? When they graduate, if they can get an exciting new job, they're not going anywhere. We've got cool cities. We've got low cost of living. We've just got to give them the jobs so they don't have to go somewhere else to get excited about their life. This is what this is really all about. "So I want you to think about this, carefully, please; I ask you to think about it carefully, because I believe the future of our state is at risk. This isn't about John Kasich. This is about this precious state and how I think it will look in 20 years; because decisions we make now, Jim Buchy, are decisions that will affect us a little bit further down the road." "As our population ages and more and more baby boomers retire, you know what happens? These kinds of cutting-edge jobs help us keep our young people and help us attract new ones. And when combined with the cool factor we're seeing in our cities, as well as our state's low cost of living, as Al Ratner points out, we can truly take our state to the next level with better, more exciting opportunities for everyone." The reference appears to be a part of the smart growth movement. Joel Kotkin has already written a rebuttle to "Creative Class" and smart growth policy advocates. While the "cool cities" people are backpedaling on their own theories, there are, apparently, still some lingering belief in this stuff. Later in his speech, the Governor uses his bully pulpit to encourage parents to consider vocational and career schools as options. That's a stance that favors manufacturing. I guess he's listening to someone else there. I try not to dissect this too much. Next time, I think the Governor's speech writers just need to broaden their reach beyond a big city for a broader perspective on economic development material. 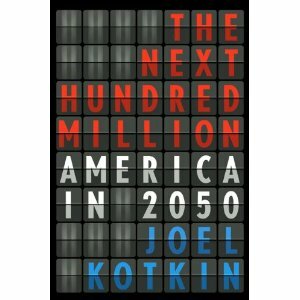 I guess I need to give him another copy of Kotkin's book, The Next Hundred Million: America in 2050. And, this is key, manufacturers need to invite the Governor by for a chat. The key to Ohio's economy has been, is, and will be manufacturing.